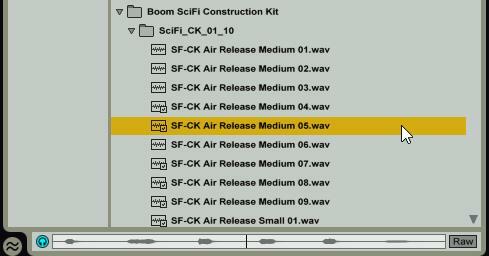 Want to know how sound design works? How you build earth-shattering sounds that rumble deep in your stomach and make you feel like you really fired the ULTIMATE WEAPON? During my work on Psycho Starship Rampage, I had to compose the music, of course, but also build the whole sonic atmosphere for the game: sound effects, from voices to weapons fire. I used a handful of synthesizers (the laser and tractor beam sounds, for instance, have been designed from scratch), but also some elemental sound banks to speed up the process. Good banks allow you any measure of tweaking and layering to truly make the sounds your own. If you are curious to know more about how that works, take a look here. I have been invited by the BOOM! blog, whose libraries I used extensively, to describe my workflow in detail in order to design the sound of the ultimate weapon in the game, the BLACK HOLE CANNON. So install enough batteries on your rampaging starship, bind your weapon keys, travel right to exit hyperspace, and let us discover together how you fashion an original sound effect from commercial banks: read here, Designing the black hole cannon.